Good story set up. The story flowed and the descriptions were done well. One of the things I like most about this genre is that the character's development and success is dependent on building things or using skills in an innovative way. The mc is focused and, thank the author, not self-obsessed or juvenile. The ending although a bit of a cliffhanger was not unexpected. Afterall what would be a ground breaking immersive mmorp without a crisis? Its hard to fimd adult litrpg. Most of it is ya and uneditted. Thats not the case here. The writing got me through a somewhat iffy first few pages and then i really got into the characters and world. I binge read this in a day and a bit. The ending was a little too cliffhanger but had enough resolved that I'll be able to wait for the next book. 4.0 out of 5 starsA solid gamelit novel. This wasaprety good read by an experienced author. It avoided the common pitfalls a gamelit or litrpg often fall into such as a mary-sue protagonist or serious exploity game imbalances. The female protagonist was strong enough and had a clever enough skillset to feel like the central player without it feeling forced. The plot is fairly simple but still had a few unexpected twists, without getting overcomplicated. The oblivious main big bad has been shown or at least hinted at, a couple of possible otherwise bad guys have been possibly foreshadowed and both a epic world changing quest line and some ominous shadows have be set up for the next book or two. Overall a good first book in a series. Worth a read if you like litrpg or gamelit, and even if you don't. A minor complaint for the author is that I found the protagonists character to be a little thin. This will likely be remedied in following books as the character gets fleshed out but in this book they come off as a cookie cutter gamer protagonist. 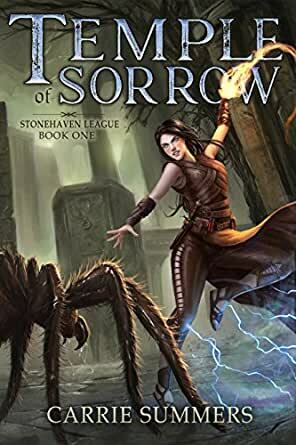 Great Litrpg novel. A classic fantasy adventure accessed through immersive VR technology. Blends the excellent in game questing with out of game plots that foreshadow a larger story. The main character starts out with nothing and builds herself up through the book, exploring and gaining new skills and companions. No intention of spoiling the story! Definitely worth the purchase. An enjoyable read and, although it did feel a little two dimensional in places, I was drawn in enough to read it through in one sitting. The authors background in game development came the in the mechanics used which was nice. Will read the next book when it comes out and would reccommend to other fans of the genre. There is a deep story roiling under this comeback tale of Devon. The points status updates are done in line with the narrative and are instructive, not disruptive to the story as I often find. Great initial book for the series. It is always a pleasure to add an author to my "read anything this person writes" list. It is also rare, but after reading Temple of Sorrow, Carrie Summers is definitely on the list. I enjoyed the departure from stock litRPG skills lists very much. 5.0 out of 5 starsReally good read. I thoroughly enjoyed this book. And will definitely buy the next one. Looking forward to seeing how the mc develops.